Four fun fall things to do at Green Bluff, right above Spokane! | Oh, the Places We See . 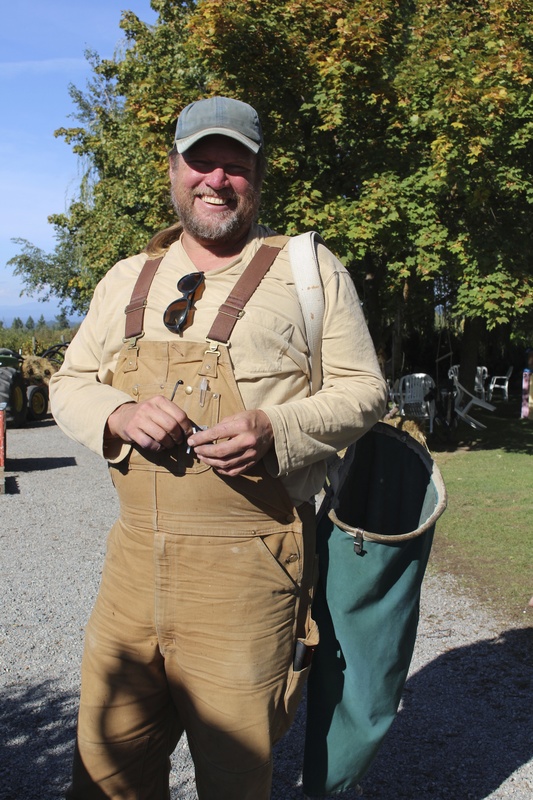 . .
Four fun fall things to do at Green Bluff, right above Spokane! 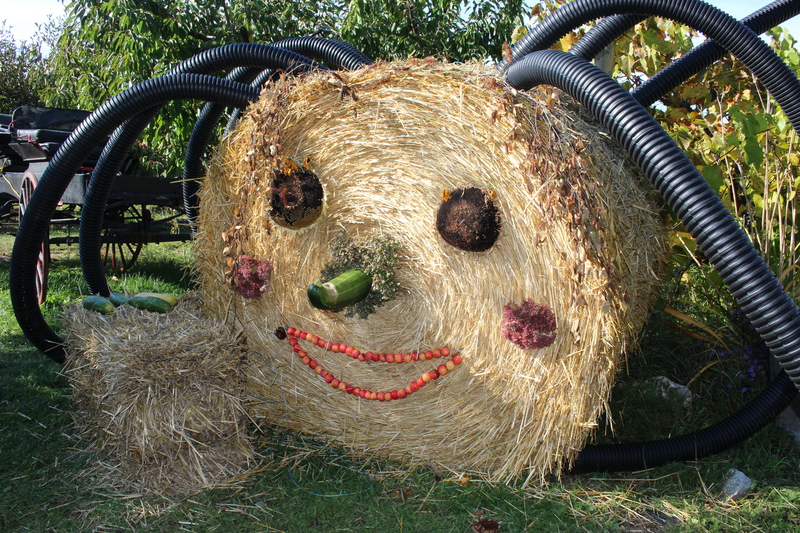 A spider hay bale greets you at Hansen’s Green Bluff Orchard. When I asked one of the educators I work with what I could see traveling from the Spokane airport to where I would be working in Priest River, Idaho, he immediately said, Green Bluff! And he couldn’t have been more “right on”! Our trip coincided with the Apple Festival, thus giving us four great stops where fall meets fun in the Inland Northwest. 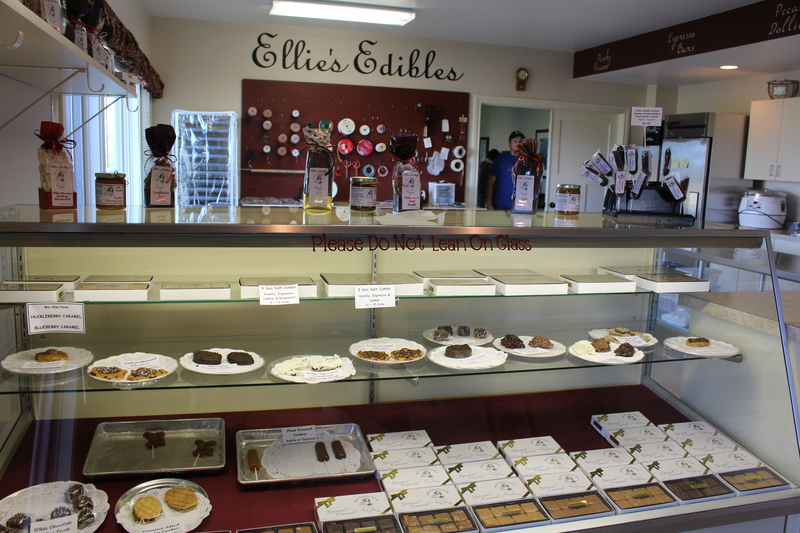 So here are our recommendations for what to do and see if you get to Green Bluff. We have to admit, even in our senior years, this was a first for us: the chance to pick our own apples and plums. Owner Karen Hansen greeted us as if we were royalty, showing us around her family’s homestead decorated for fall and pointing out where to pick which apples. 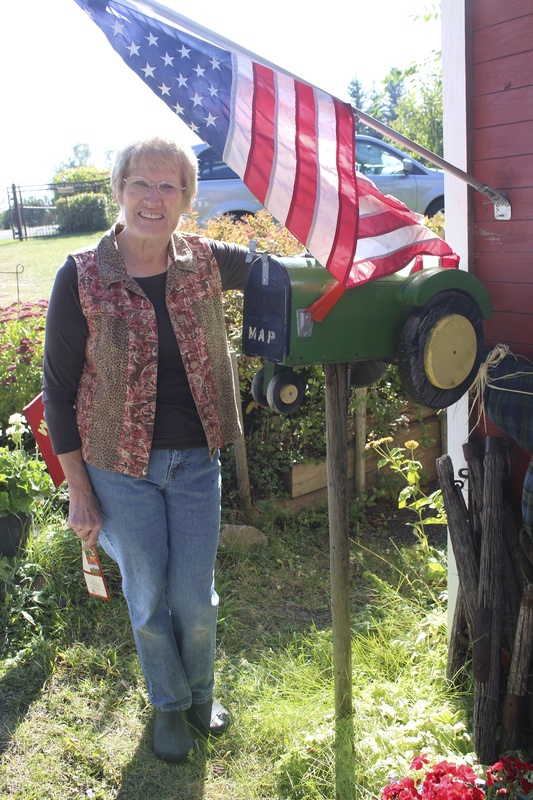 Karen Hansen stands next to her John Deere mailbox to greet us at her home and orchard. We made good time of it, too. Karen’s son Derrick (a sizable young man, as you can see) carried a conical shaped basket into the orchards and invited us to come along. 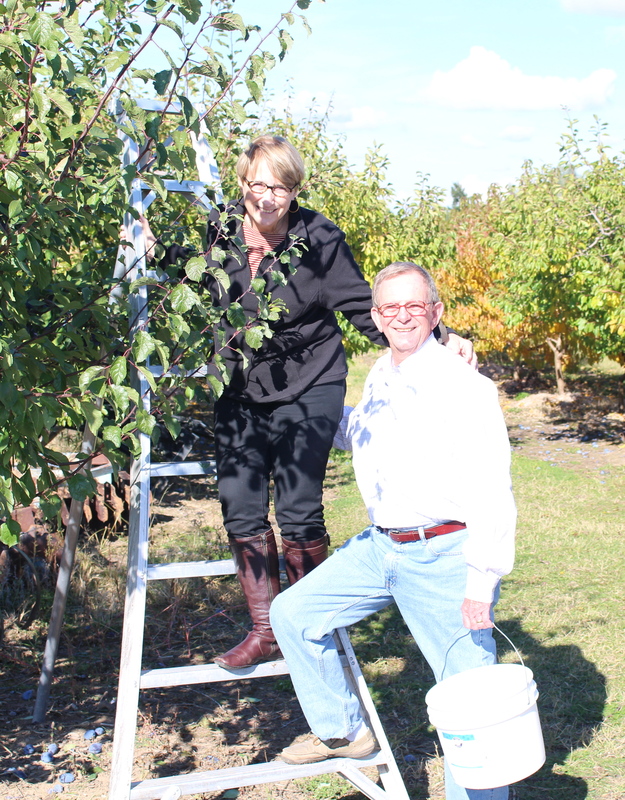 Derrick Hansen is no stranger to apples or picking! 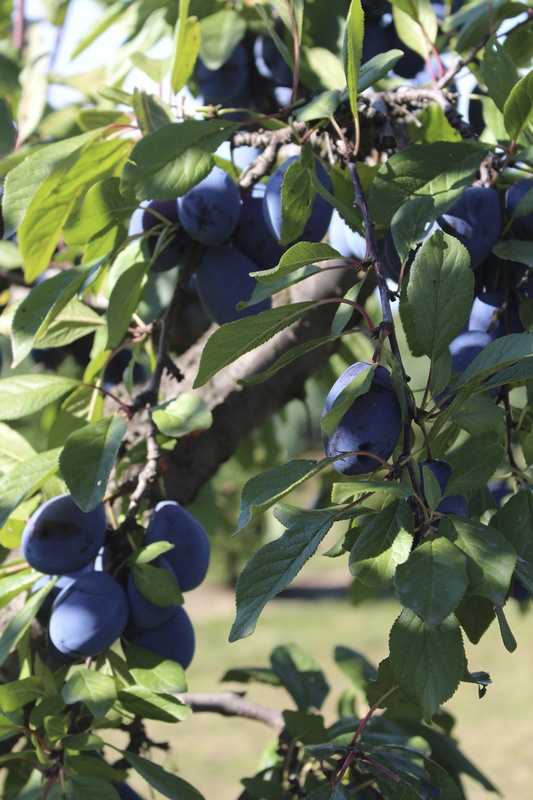 Bloggers picking plums at Hansen Orchard! Then we found the apples. Oh, my. There’s nothing like looking up into trees laden with ripe, red fruit. So we just helped ourselves to Hansen’s finest. As you can see, these are naturally beautiful, unspoiled by the wax that’s applied to them in grocery stores. 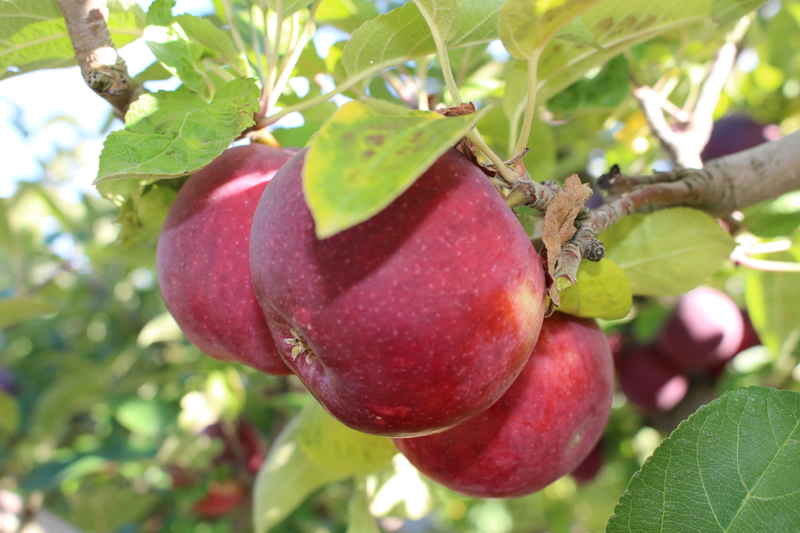 Just pure fruit from a picturesque orchard. Families come for the fresh-from-the-farm experience, and we’re told that on the weekends, thousands edge their way along the streets just for the one-to-one experience of grabbing a favorite apple from the tree itself! 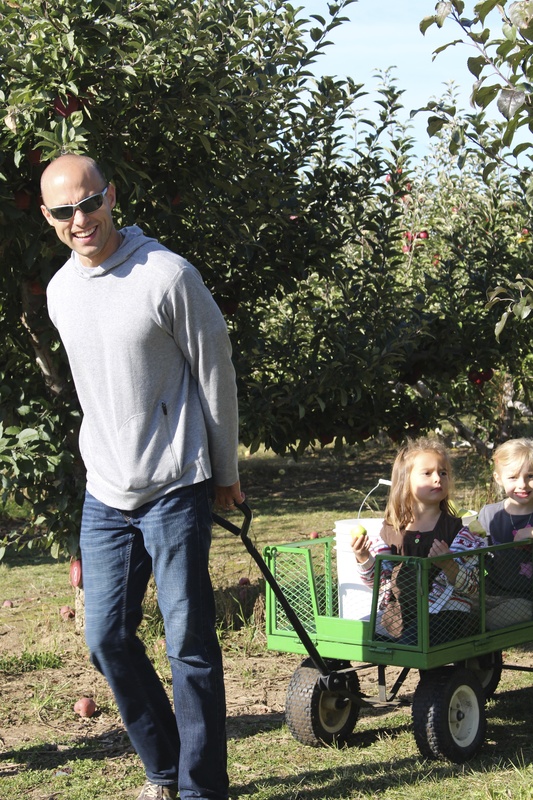 Family days are every day at Hansen Orchard. Hansen’s is closed now, but will re-open the day after Thanksgiving when you can select and cut a Washington state Christmas tree you pick out yourself! Part of the fun of stopping along the loop roads is meeting the people who own/manage/run their businesses. And thus it was with Ellie. 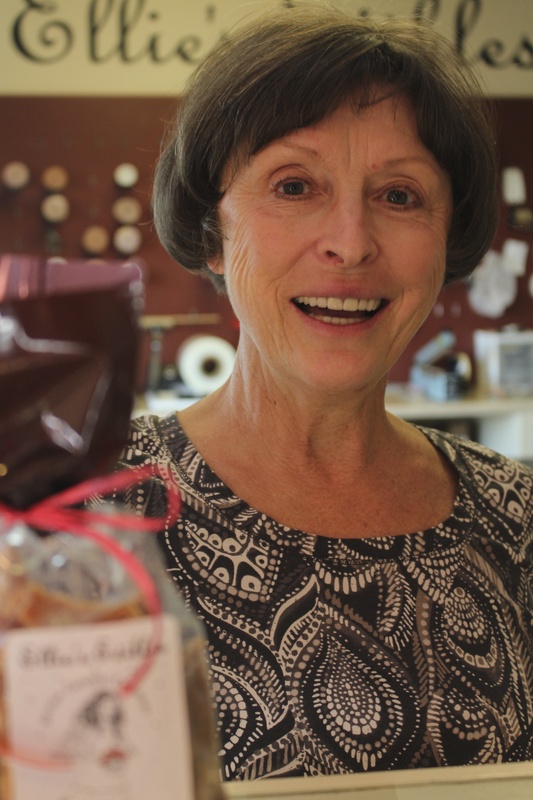 We were immediately smitten with her kind manner, soft speech, and genuine desire to provide the world’s finest caramels (She says car-mel; I say car-a-mel!) with the freshest add-in ingredients. Like huckleberries, a fruit similar to blueberries but indigenous to the whole Northwest area, I suppose. 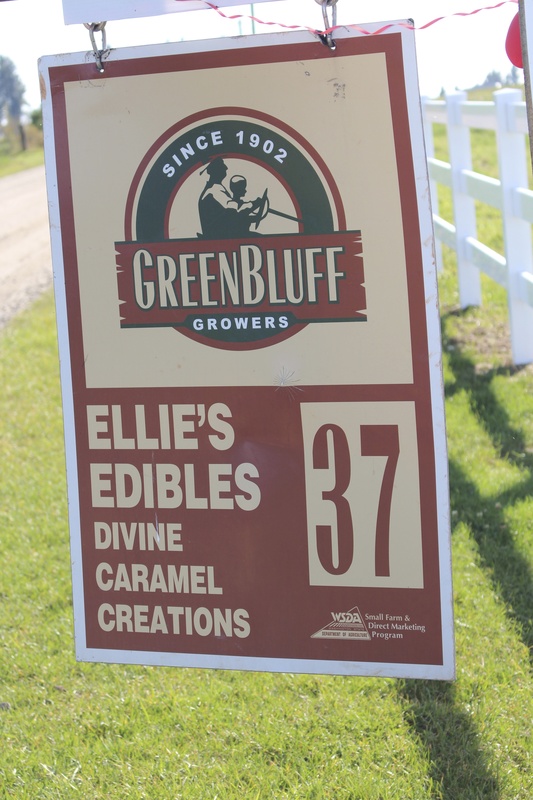 Meet Ellie, owner, picker, and cooker of the finest caramels anywhere! I knew I’d like the best-seller — Vanilla Sea Salt Caramels — made with imported sea salt and cooked right here in Ellie’s kitchen. See? she said. Even though they melt in your mouth after that chewy goodness mushes down, they don’t stick to your teeth. Mmm, we agreed. And can we sample just one more to make sure? Now, we’re not all backwards in Tennessee. 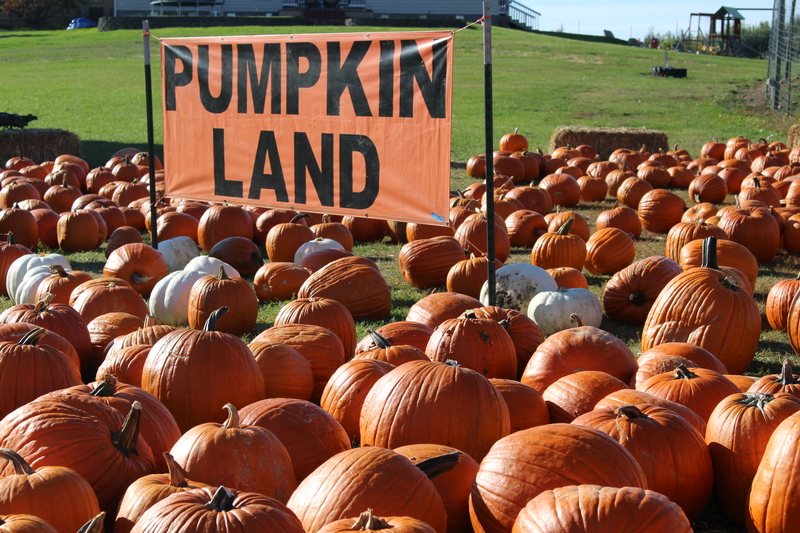 We do have pumpkin patches, corn mazes, and hayrides for young and old. 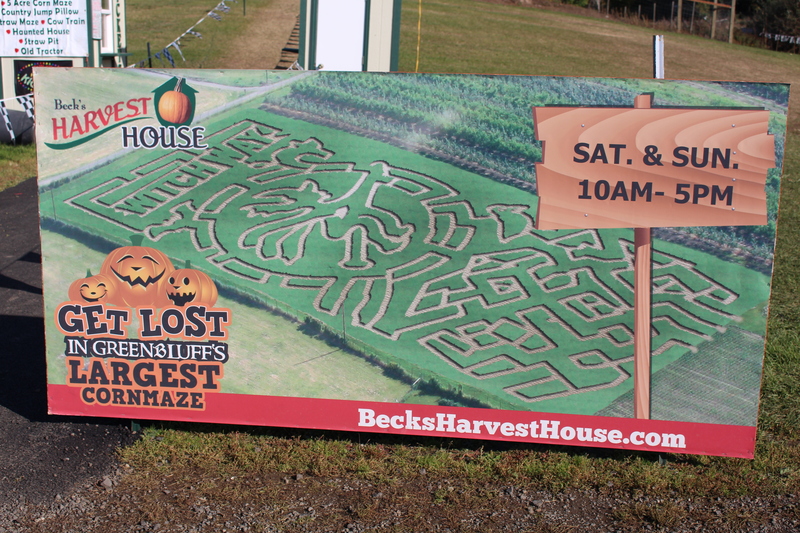 But Beck’s Harvest House may have the biggest bunch of pumpkins we’ve seen to date. Shipping out pumpkins in enormous boxes is just the norm around here, and the on-site Pumpkin Land is for those who want to select that special “big ‘un” right from the field. It’s hard work pickin’ out just the right punkin’ from Pumpkin Land! Feeding an alpaca wasn’t on the list of things to do while visiting the Inland Northwest, but now that we’ve done it, it’s one opportunity we’re privileged to have had. 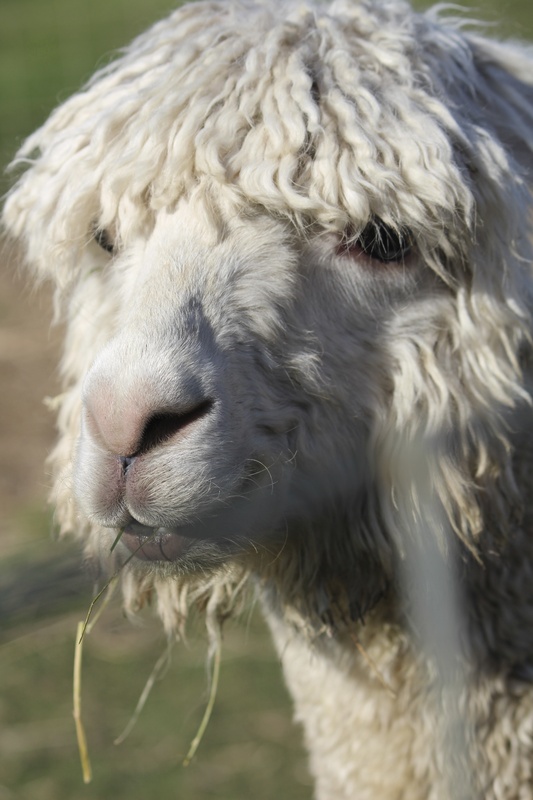 Supersuris Alpaca Ranch holds some of the most prized alpacas in the world, according to owner Nancy Walker who has raised many of them from birth. 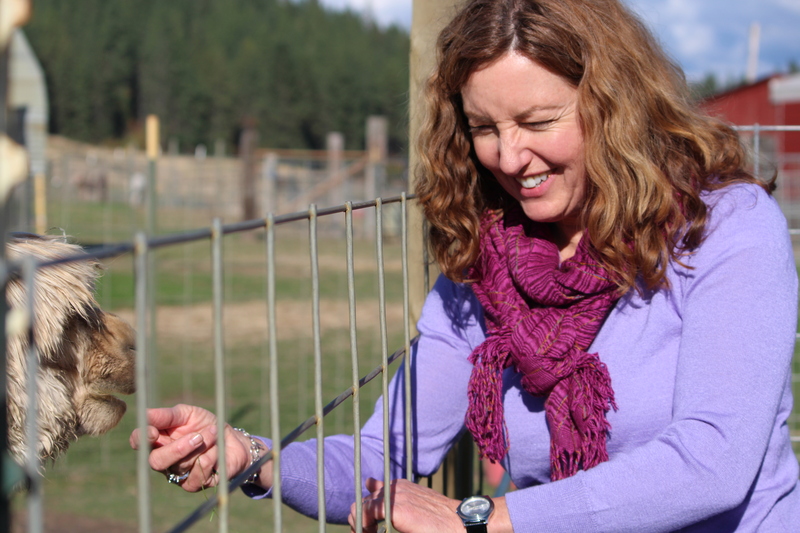 Her love of these shaggy, yet so-soft creatures was something we picked up immediately as we first watched her call them by name and then feed them at the fence. 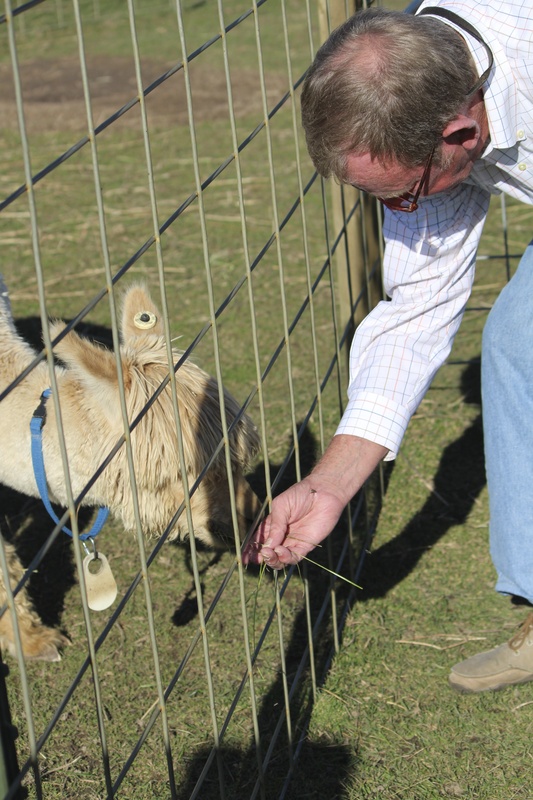 Bert took a turn offering grass to one of the more human-friendly ones. And then he petted that mop-head critter. Really soft, he announced. 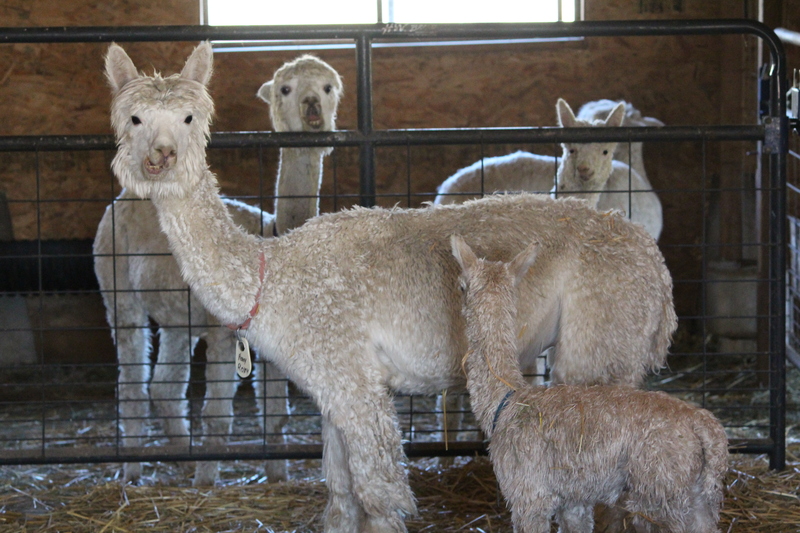 In the barn, alpacas perked up their ears and focused their eyes — on us — watching cautiously and keeping their distance with little ones in tow. 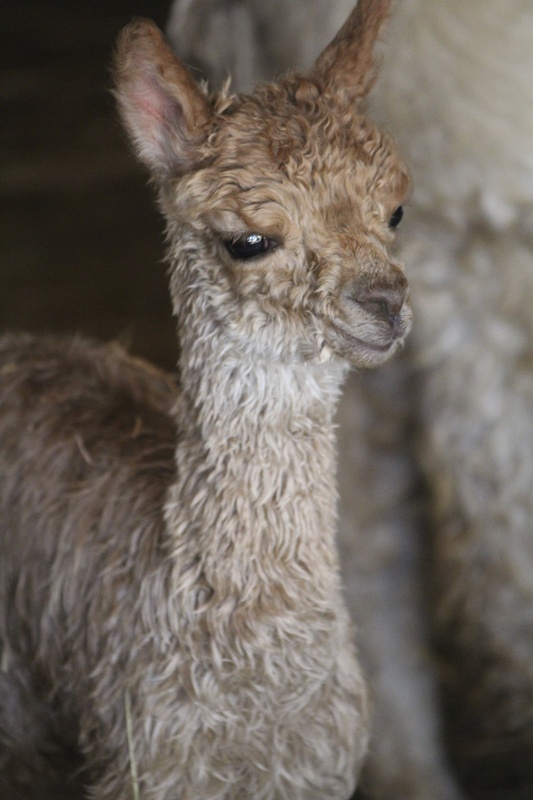 Nancy works with breeders in Peru to identify the finest alpacas for purchase and breeding. And then engages knitters around the world to craft shawls, sweaters, and blankets she sells under the name of Colca Andean Fashions at the ranch in Green Bluff. Winning awards seems to be a frequent occurrence for Supersuris. 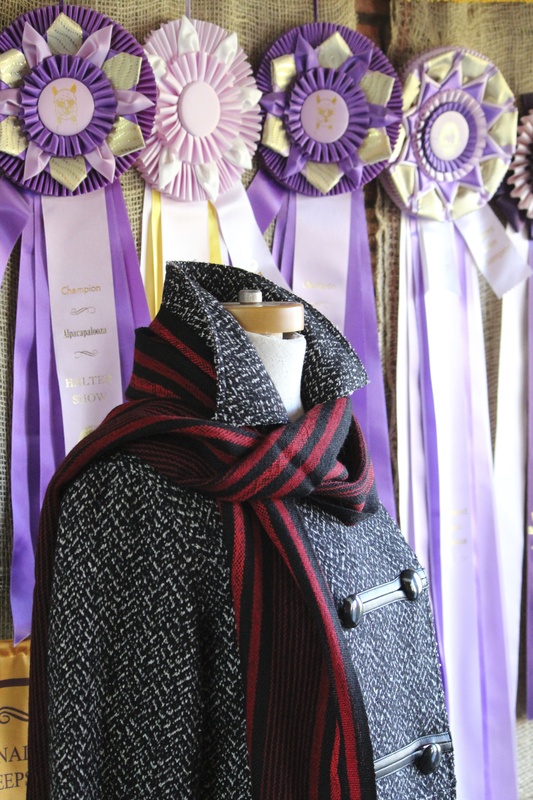 Nancy’s immense display of ribbons fills at least two full walls. Note to travelers: If you’re planning to go to Green Bluff during any of the festival times, try to avoid weekend traffic. Check out the map and suggested driving routes where the least traffic occurs. If you want to read more of our adventures in Washington, Idaho, and Montana, just click on the Inland Northwest page at the top of this post. And we always love your comments. This entry was posted in Destination, Festivals, Gardens, Travel, Washington and tagged Apple Festival, apples, Beck's Harvest House, caramels, Ellie's Edibles, Green Bluff Growers, Hansen's Orchards, Supersuris Alpaca Ranch, Washington. Bookmark the permalink. 10 Responses to Four fun fall things to do at Green Bluff, right above Spokane! I’d love to return there this fall. We loved all the people we met as well as the fruits of the season. Thanks so much for reading and commenting. It was a fun day, and I hope to return in December to see the tree sales that some of the merchants will have. So much fun, thanks for sharing! The alpacas are so cute, and the coat (cape?) and scarf are amazing. And now I really want to try some of those caramels. The caramels may be a Christmas present I order for co-workers, but, of course, I’ll order a box or two just for us!!! Thanks for reading and commenting. Oh, Rusha! What an excellent post. I love how you see the good in the world…and I love even more that you share it. Those guys look truly happy to be doing what they are doing; and it shows. Thanks. 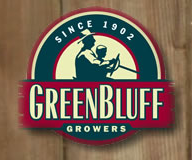 The people of Green Bluff are quite happy, if the people we met are any indication. Several have lived there for over 30 years. And I guess many of the farms have been handed down throughout the generations. Thanks for visiting! Sounds like fun! I love the hay bale spider! Me, too! We have a few folks in East Tennessee who do this also — painting the bales of hay for each season. But this one had a cute smile and great legs!